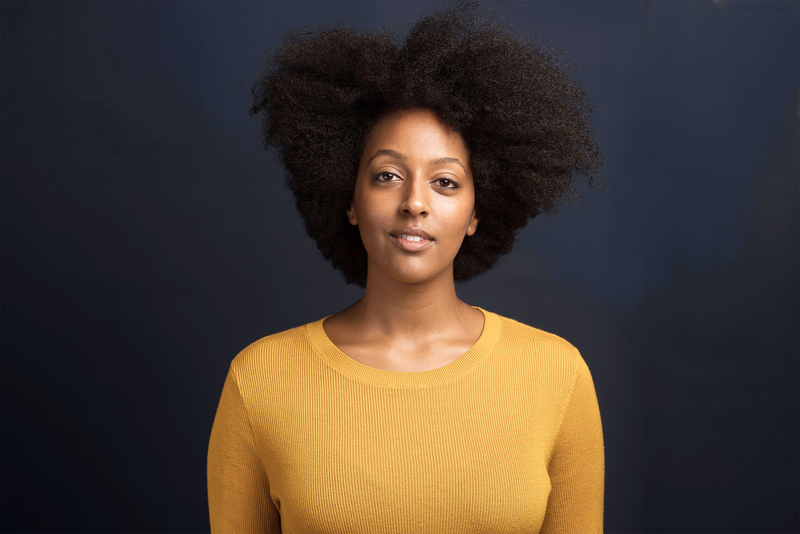 Selamawit Worku is an Ethiopian-American Singer, Songwriter and Actor based in New York. She received years of vocal training with a degree in Jazz/Popular Music. In addition, she has completed conservatory acting training at the prestigious Stella Adler Studio of Acting in New York City. She headlined Visual Collaborative’s ENCORE in 2013. Here, we catch up with the Brooklyn-based artist about what she has been up to and a backstory on her upbringing and inspirations. Tell us about your upbringing in the the Virginia area. You are now in New York. What borough do you live? I grew up in the Northern Virginia area (Arlington and Annandale). I loved being in the area! I had a pretty diverse experience that has shaped who I am to this day and helped me be able to be so open and accepting of different cultures, languages, and simultaneously to feel accepted..seeing that there’s nearly 1 million Ethiopians in the area also, is a beautiful privilege for me! Currently, I am Brooklyn, NY and have been for nearly 5 years. It’s been a positive, challenging, and rewarding experience living here and I love being in BK. years ago. How did it come about? It’s unbelievable that it’s been 7 years! I still remember the icy rain the day of the event, my performance, seeing the beautiful Moderncontempo store, and all the artwork! I had the opportunity to be featured by VC because a mutual contact of Ade and mines put us together as he was looking for an up-and-coming performance artist, and I had been pursuing performance opportunities to promote my EP and establish myself as performing artist. I jumped at the opportunity. It was a great time! I have had a few pivotal relationships in my life, but I can say one of the biggest is my mentor and musical father, Professor Herbert Smith. He is an accomplished jazz musician and professor at NVCC in Annandale. Years ago, I was a singer looking to be more knowledgeable about music production and I took his class by chance, and that led to me taking more classes, getting a degree in Jazz/Pop music, and then gaining a mentor who encouraged me to perform, develop my artistry in music and acting, and ultimately move to NYC. There are other relationships, mainly I’d say teachers, directors, and fellow actors, who have contributed to my development and for the most part I am in touch with most. At least 1-2 times a year I try to check-in and update them and/or get updated and support their respective endeavors. I think it’s important to show up for people who have helped you in this hectic industry, sometimes it’s simply sending a handwritten note or buying tickets to their show or buying their music or donating to their fundraiser or sending a gift or recommending them for an opportunity or simply calling to check on their well-being. It’s tough as a few of the people who were important to my career are no longer living or I have lost their contact information, but most of them I try to be good about sharing my love, time, and well wishes. Most recently, I participated in a Black Arts Intensive Program and the actors I took classes with, along with the program directors and teaching artists have undoubtedly changed me and contributed to my current development. I hope and anticipate they will be new relationships I can sustain and grow from. professional life or would you say you identify more as an American? I am Ethiopian and it is weaved into my choices, professionally and personally. That being said, I don’t strictly only work on certain things if they only amplify that part of my identity. So yes, I identify as American as well, I have grown up here the majority of my life and have some of those sensibilities, customs, and norms. I think that’s the fun part of identity is that you can be able to find the balance and incorporate the parts of each and all that you grew up learning and that apply to your life now. Do you still do live singing performances or strictly an actress now? I love singing and it’s something that I will not ever lose or give up on. That being said, trying to balance multiple career aspirations and wearing different hats, and understanding in what capacity I want to share the different forms of my creativity on a public platform is an important step I had to take in growing as an artist and managing my time well. What I have learned is that to do anything well, it does mean sometimes having to slow down in one area or put it on pause temporarily until the other one or two is more stable. You can’t have all of your pots cooking on the stove at the exact same time or else you’ll burn something. So yes, I have had to put live singing performances on pause in order to grow and develop my acting career, but I still sing, practice my piano, and do vocal exercises often, this still enhances and supports my work as an actor and a singer. I hope to eventually incorporate live performances and writing/recording songs over time when it feels right. the east coast interest you, and in what kind of way? After NYC, I do intend on being in LA, but I want to ensure I have a solid foundation here before making that transition. Ideally I would be bi-coastal and job opportunities would be the reason I live out there. Although, the warm weather and space is definitely incredibly appealing haha. So we’ll see! I am open to Europe, but I don’t honestly know too much about the industry there, friends of mine are having great success in the UK, Spain and France, so I wouldn’t rule that out entirely. The way I get inspired is by exposing myself to all types of art so that means I listen to various types of music, I go to art galleries as often as possible, my social media feed is filled with many visual artists (photographers, DPs, painters, mixed media artists, etc), I watch as many types of films or shows I can, and I also tend try to read up on different subject matters (what’s happening in the world, space, time, health, media, culture, politics) all of this informs me as an artist and guides how I want to create and show up in the world. On a spiritual level, in order to be inspired and keep pushing forward, I put my health and wellness first now. So that means sleeping well, eating well, drinking lots of water, exercising, and being mindful of who I have around me and what types of music/shows and overall energy I keep around me. My faith is strong and it’s what guides me so I absolutely pray and go to church when I can, or listen to sermons, read spiritual books/articles, and meditate occasionally! Putting aside the severe limitations that women and people of color experienced at the time, I’d say during the 70’s with the Black Arts Movement. Although it was a politically-tense time period, it sounded like an incredibly inspiring, communal, and bold time of artistic expression. If you could perform beside another actor who would it be? Viola Davis, Danai Gurira, Issa Rae, Tracee Ellis Ross, Regina King, Amy Adams, Emily Blunt, Cate Blanchett, Brian Tyree Henry, Mahershala Ali, Anthony Hopkins, Denzel Washington, Jeffry Wright, Titus Burgess…I could go on and on, so many to name. As of right now today, I’d say in that order. What kind of work can the world expect from Selam within the next 5 years? I don’t know. I mean there’s some major goals and dreams I have had that I haven’t quite reached yet, but I also think in hindsight, 7 years ago, I did tell myself I wanted to be a working actor in NYC 5 years from then, and I am. Has it been exactly the way I imagined? No. But it’s worked out in it’s own funny way. So if I am going for the stars: In 5 years, I will be a financially comfortable, consistently working, full-time actor, storyteller, and producer living bi-coastally in NYC and LA. As a result, the work that I would be creating and producing would be films, songs, books, and plays that amplify the nuanced experiences of black identity, immigrants, and womanhood.